IRVING, Texas – Recently released Dallas Cowboys sack leader DeMarcus Ware agreed to a three-year contract with the Denver Broncos today. The Cowboys released Ware, who was set to make $12.25 million, on Tuesday afternoon following a discussion about renegotiating his existing contract. Cowboys owner/general manager Jerry Jones expressed hope the seven-time Pro Bowler would consider a return to the team if he couldn’t find a better deal as a free agent. Those hopes were dashed decisively less than 24 hours later, as the Broncos’ reported deal with Ware is for $30 million over three years, with a $20 million guarantee. The contract will pay Ware $13 million in his first season – more than he was slated to make with the Cowboys. Ware becomes the latest big-name free agent to sign up with Denver, last year’s league runner-up, in the past two days. The Broncos signed Pro Bowl safety T.J. Ward on Tuesday afternoon, and they added Pro Bowl cornerback Aqib Talib on Tuesday night. The Cowboys saved $7.4 million in cap space with the decision to release Ware. Ware jumped out to a fast start with four sacks and an interception in the Cowboys’ first three games last year, before he was hampered by injuries. Ware played through stinger issues and a nagging elbow issue, but a quadriceps injury suffered Oct. 13 against the Redskins forced him to miss the first three games of his career. 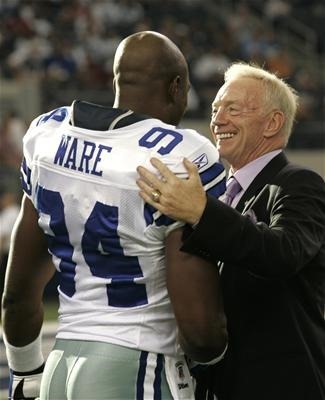 Among Ware’s many accomplishments and accolades with the Cowboys are a 20-sack season in 2008, when he was named the NFC Defensive Player of the Year, and a 19.5-sack year just three seasons ago in 2011. Ware and Mark Gastineau are the only two players in league history with two seasons of 19 or more sacks. One silver lining for Dallas Cowboys fans is that Ware appears likely to finish his NFL career outside the division, and outside NFC altogether. Dallas just played Denver during the 2013 season, which means the Broncos won’t show up on the schedule until 2017 at the earliest – barring a Super Bowl matchup. There was speculation that Philadelphia would attempt to sign the seven-time All-Pro within the NFC East. Shoulder surgery last offseason. Elbow surgery this offseason. Nagging neck and back injuries, along with a reoccurring hamstring issue. Oh, and there’s a quad injury in the middle of last season – the only injury to actually keep him out of a game. Now as the seven-time Pro Bowler has been officially released by the Dallas Cowboys, you have to wonder if DeMarcus Ware wishes he would’ve missed more time. Maybe things could’ve been different. In sports, we love the stories about Jack Youngblood playing in the Super Bowl with a broken leg. Or Willis Reed’s miraculous return to the court. And Curt Schilling pitching in the playoffs with a bloody sock. Don’t forget Michael Jordan playing in the NBA Finals with the flu. Those are some of the moments that we’ll always remember. And it’s moments like those, and even ones closer to home like Emmitt Smith’s 1993 season finale against the Giants, that put the perception in our heads that players should always, without fail, do whatever it takes to get on the field. But when it doesn’t work out so well, playing hurt can be costly. Ware is now proof of that. This guy probably had no business playing the last few games of the 2012 season, but his team was in a playoff push. So he pushed along. He played with a bad back, a bad hamstring, a bad shoulder and two bad elbows. And guess what, he wasn’t that great because of it. Ware limped to the end of that year with 11.5 sacks. By last summer he seemed completely recharged. He was an absolute beast in training camp, making some worry about offensive tackle Tyron Smith’s future because he was getting beat every snap it seemed. Ware picked off the first pass of the season against the Giants and had four sacks in the first four games. Then, the injuries hit once again. And while I don’t think he was as ineffective at the end of this year compared to the previous one, he wasn’t the Ware we all remembered. You have to wonder if things would now be different if he had just shut it down for one of those years. Say he can’t go at all and is placed on IR. Is the result the same? We don’t know the answer to that, and we’ll ever get one. Sure, he’s still going to be labeled injury-prone but he wouldn’t have put average tape on himself in the process. The Dallas Cowboys have some other guys on this team who don’t seem to play at less than 100 percent. They sit out until they’re ready to go and maybe that’s the right approach. Ware missed three games in the middle of this year and came back for the Saints game, where it appeared the quad injury was still giving him problems. And that’s the nature of a quad injury. Yeah, you can get it good enough to play, but that’s where your power comes from. He never really had full strength in that leg the rest of the season. And the elbows? That’s where your need your arms to bull-rush. He didn’t have elbow strength or quad strength, and therefore, he wasn’t beating many tackles, if any, by the end of the year. Out of pride, and as someone trying not to make excuses, Ware told reporters last December he wasn’t hurt and vowed to play better. But he was hurt. He was more than hurt. But by saying that, it allows his critics to believe that he’s washed up because he’s not producing. Well, maybe there’s a reason for it. Who knows what’s next for Ware. Maybe his play has declined to the point where he’ll never be a factor. Maybe the injuries will be too much to overcome. He tried to play through it last year and the year before and it didn’t work. In hindsight, it appears – without us being behind closed doors and not privy to all of the information ­– he’s been judged unfairly because of it. But, good luck to him. DeMarcus Ware will eventually re-sign with the Dallas Cowboys, but probably for a one-deal before he goes into the Ring of Honor. IRVING, Texas – The Dallas Cowboys’ leader in sacks is no longer a member of the franchise. DeMarcus Ware, who’s gone to seven Pro Bowls and compiled 117 sacks in nine seasons with the Cowboys since being selected by Dallas in the first round of the 2005 draft, was released Tuesday. “A decision like this, involving a man who is a cornerstone player in the history of your franchise, is extremely difficult,” said owner/general manager Jerry Jones in a statement. Ware’s multiple restructures led to a $12.25 million base salary and $16 million cap hit for the 2014 season. By releasing Ware, one of the most decorated players to ever don a Cowboys jersey, the team saves $7.4 million in cap space. The Cowboys were already $2 million under the cap after cutting Phil Costa, reworking the deal of Mackenzy Bernadeau and restructuring Tony Romo, Orlando Scandrick and Sean Lee. Ware reportedly wanted a decision made on his future before free agency began, and the Cowboys weren’t going to have him play on his current deal. This move gives the Cowboys, who are set to lose Jason Hatcher and Anthony Spencer to free agency, much more room to work with to bring one of their own players back or to make a move in free agency. But it also means losing an icon who will go down as one of the all-time great defensive players in the game. That doesn’t mean a return to Dallas is completely out of the question, according to Jones. But as free agency begins, Ware will get to test the market and the many options around the league. Ware had a couple of hefty streaks snapped last season. He’d compiled seven straight double-digit sack seasons before falling down to six sacks in 2013, and he’d played in all 16 games in each of his first eight seasons before missing three games last year. Injuries have been the story for Ware in recent seasons. He’s dealt with a plethora of different ones, including quad, hamstring, elbow, shoulder, neck and back problems the last two years alone. He’s undergone elbow and shoulder surgeries the last two offseasons and missed the first three games of his career with a quad strain. The 2013 season began promisingly for Ware after a tremendous training camp. He was easily the standout defensive player in Oxnard, Calif., and he followed that up by compiling four sacks in the first three games of the regular season, becoming the team’s all-time sacks leader in the process. Then the injuries kicked in, and he had just two more sacks the rest of the way. The Cowboys wanted to keep him for the 2014 season, but only at a reduced rate. His cap hit in 2014 would have been twice what it was the year prior. His base salary was just $840,000 and his cap hit was $8 million in 2013. 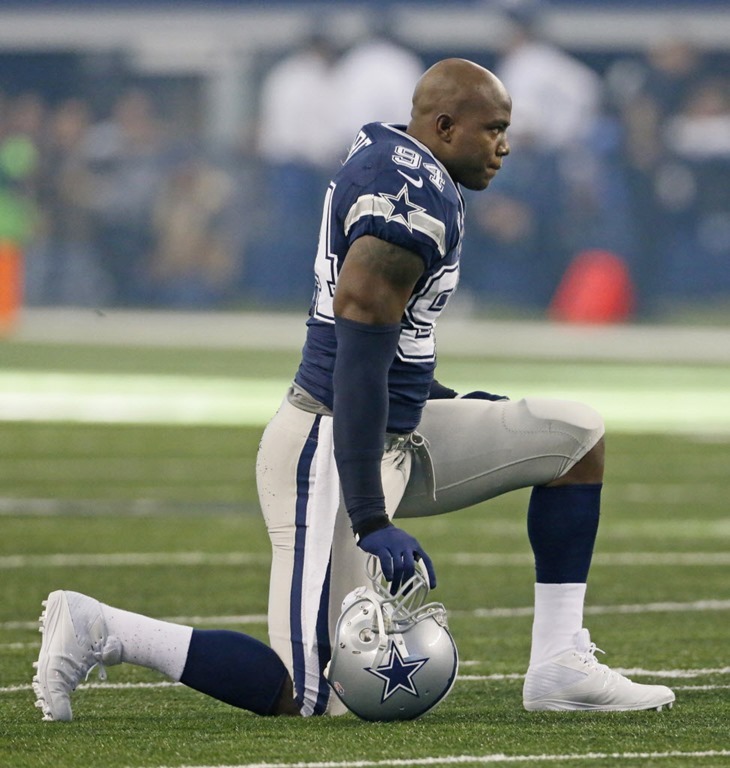 The Cowboys decided to part ways with Ware and save cap space after a meeting between the two sides. They can save another $5.5 million in room if they designate Miles Austin, who’s set to count $8.25 million against the cap, a post-June 1 cut. Ware’s release gives the Cowboys more money to work with, but they currently have no proven talent to replace a player on the outside of Ware’s caliber. Among Ware’s many accomplishments and accolades are a 20-sack season in 2008, when he was named the NFC Defensive Player of the Year, and a 19.5-sack year just three seasons ago in 2011. Ware and Mark Gastineau are the only two players in league history with two seasons of 19 or more sacks. The Cowboys save cap space but lose a player many consider to be the face of the franchise. Even with Ware’s career-low six sacks, he still finished third on the team in the category in 2013. With Spencer set to become a free agent, no other Dallas defensive end currently on the roster for the 2014 season has more than 10 career sacks. George Selvie would be the leader with exactly 10 after last year’s seven-sack season. IRVING, Texas – The Dallas Cowboys are now under the salary cap after cutting the center many thought could be the starter prior to last year’s draft. The Cowboys cut Phil Costa and renegotiated the contract of Mackenzy Bernadeau on Friday, putting themselves in better position financially prior to the start of free agency on March 11, which is the beginning of the new league year and the time all teams must be under the cap. The restructuring of Tony Romo, Orlando Scandrick and Sean Lee already saved the Cowboys more than $16 million in cap space, and the move to release Costa saves another $1.5 million. Despite their continual cap restraints, the Dallas Cowboys will have no issue being under the new cap figure next week. Costa appeared in only six games the last two seasons after starting all 16 games at center in 2011. He started three games at center in 2012 before injuries cut his season short. Costa, who signed a two-year deal worth $2.7 million last year, appeared in three games in 2013, but rookie Travis Frederick started all 16 games at center. Costa’s been with the Cowboys since signing in Dallas as an undrafted free agent in 2010 out of Maryland, playing in a total of 26 games with 20 starts. He didn’t take a pay cut, and the Cowboys decided to part ways with the center to help get under the cap. The Cowboys also saved cap space by renegotiating Bernadeau, who came on strong at the end of the 2013 season after getting replaced by Brian Waters. Bernadeau started the first three games of the season before the change was made, and the offensive line remained a strong point of the team when Bernadeau returned to the starting lineup for the final eight games of the season. Bernadeau will challenge for a starting guard spot in 2014. The Dallas Cowboys sat high above the projected cap figure just weeks ago but figured out a way to get under the cap relatively smoothly and much more easily than many (in the media) anticipated. They still have decisions to make on the futures of DeMarcus Ware and Miles Austin, among others, and could make more moves and restructures to free up space for free agent signings. If nothing changes, Ware will count $16 million against the cap and Austin will count $8.25 million against the cap. The Cowboys can save $7.4 million by releasing Ware and $5.5 million by designating Austin a post-June 1 cut. Of course, the Dallas Cowboys could also rework Ware’s deal to save cap space if he’s willing to cooperate on a reduction. Former Pro Bowl defensive end DeMarcus Ware doesn’t want to take a pay cut but will listen to the Dallas Cowboys thoughts about a restructured deal. The Cowboys informed Ware and representatives earlier this week about their need to lower his salary and cap figure. Ware is due a base salary of $12.25 million in 2014 with a salary cap hit of $16 million. The team would save $7.8 million if they cut Ware. 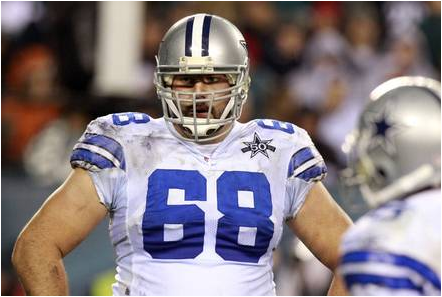 However, the Cowboys say they want the team’s all-time leading sacker back in 2014. Ware will be 32 next season and recently underwent surgery for second consecutive off season. He had a career-low six sacks in 2013 when he has hampered by neck, quad and elbow injuries. Ware expects to be back to his old dominant ways after surgery to repair nerve damage in his elbow last month. He will listen to the Cowboys thoughts on a restructured deal but remains hesitant about taking a major shave in salary. Ware, who is shoo-in for the Cowboys’ hallowed Ring of Honor and likely future Hall of Famer, is expecting to draw a lot of interest on the free-agent market if he is released. A decision on Ware would allow them to set a game plan for the start of free agency. The Cowboys must address the defensive end position in the draft and free agency. Without Ware, it makes the situation even more acute because there are no players on the roster with his talent or prior production. Even during an injury-plagued and limited 2013 campaign, Ware was ranked by Pro Football Focus as the ninth-most productive 4-3 defensive end as a pass-rusher and third in run-stop percentage. Ware was picked 11th overall by the Dallas Cowboys in 2005 NFL Draft. He has 117 sacks in nine years to rank first in team history and 18th in NFL history. IRVING, Texas – In other sports, this is the month where pen goes to paper for a bracket, or teams are playing sunny practice games at spring training. In the NFL, the month of March has its own madness with the upcoming start of the new league year, which is the beginning of free agency. That officially takes place on March 11 this year, but this is also the time when things start happening around the league. High-profile guys will get cut, possibly sign new deals or in some cases, both. The franchise tag deadline passed on Monday with the Cowboys, to no one’s surprise, choosing not to tag any of their players. Anthony Spencer had been tagged in each of the last two years, but after undergoing microfracture surgery, he’s just hoping to get back healthy enough to play football this season, whether it’s with the Cowboys or another team that signs the unrestricted free agent-to-be. What to do with Spencer is one of many decisions the Dallas Cowboys have to make here in the next few days. In fact, Spencer might be the last guy the Cowboys decide about, considering he will be a free agent on March 11 but far from healthy. If teams, including the Cowboys, choose to pay big bucks to Spencer, it’ll be with a hope that he can return to form. But there are plenty of other guys on whom the Cowboys must decide. Let’s break down the team’s free agents and other players who could be cut or have their salaries restructured and/or lowered this month. 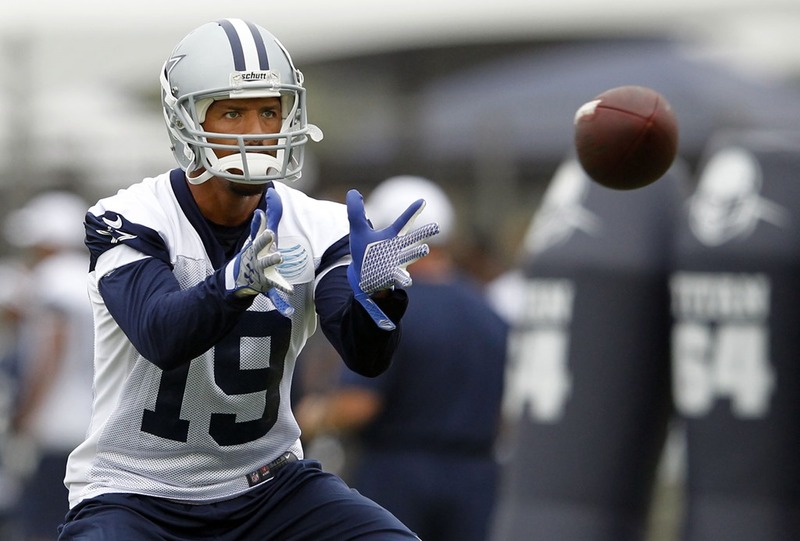 Miles Austin – The most likely offseason scenario involves Austin, an eight-year veteran who was once a fan favorite when he burst onto the scene in 2009. A two-time Pro Bowler, Austin’s career has spiraled downward as hamstring injuries have taken their toll. It’s not really about if the Cowboys cut Austin, but when. If they make him a June 1 cut, it can’t happen until March 11. They can save about $5.5 million on the cap, which won’t come off the books until June. That will still be plenty for the Cowboys to sign their draft picks and maybe other cap-casualties that occur in the summer. DeMarcus Ware – Probably the biggest decision the Cowboys have to make this year, and perhaps in the last several years. Ware has been one of the more consistent and dominant players in franchise history, but injuries have slowed him down the last two seasons. Ware is coming off elbow surgery this offseason, and it’s clear the Cowboys don’t want him to count $16 million on the cap. If the two sides can come to an agreement for a lower base salary, Ware will probably agree to that and stay. But if the Cowboys try to trim too much off his $12.25 million base, Ware could decide against that and be released. That move saves the Cowboys $7.5 million on the cap this year. And there wouldn’t be a reason to make him a June 1, considering they would need to use that extra cap space in free agency now. Justin Durant – The veteran linebacker was a solid player last season, but with DeVonte Holloman and Kyle Wilber both showing enough promise late last year, coupled with the $1.2 million the Dallas Cowboys save by cutting Durant, it seems likely he will not return in 2014 – at least not at that price. Phil Costa – Like Durant, here’s another player that will probably be on his way out. Costa backed up Travis Frederick and is scheduled to make $1.5 in base salary. Perhaps they could restructure that and lower his base but at that price, a $1.725 million cap charge, it’s likely Costa will be released. 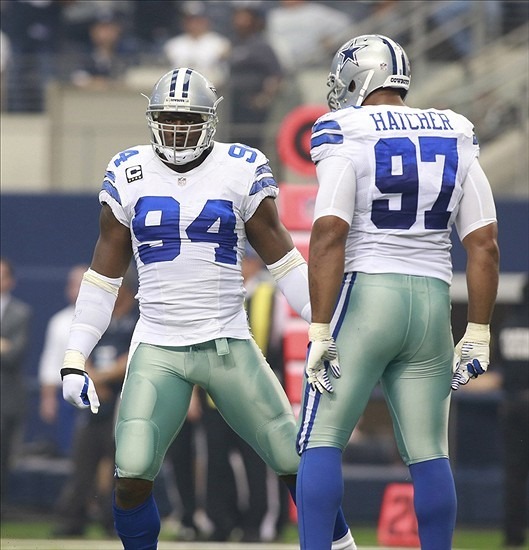 Jason Hatcher – One of the top defensive linemen on the free-agent market, he’ll be 32 when the season starts and that could affect his payday. Don’t rule out the Cowboys getting back into the mix if Hatcher doesn’t get the early-market cash he’s seeking. 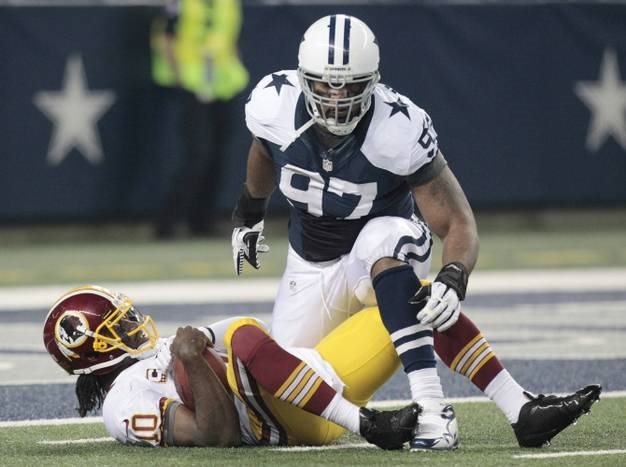 Anthony Spencer – This will be interesting because of the nature of his injury. Microfracture surgery won’t be an easy rehab for any player, but Spencer has enough time to get ready for the start of the season. The Cowboys will know his rehab process better than anyone, so they should be the favorites to re-sign him. The key will be how much risk teams like the Cowboys will take by paying him and how much of a pay cut or below-market price will Spencer be willing to accept. Danny McCray – The Cowboys’ best special teams player over the last four years has been beat up here of late. Injuries have been tough to overcome for McCray, who has proven he is more of a special teams ace only. Likely to sign somewhere else, look for the Bears to have interest with former special teams coordinator Joe DeCamillis in Chicago. Ernie Sims – He filled some voids for this team, but with the development of Wilber and Holloman, don’t expect Sims back in the mix anytime soon. The Cowboys tried to go in another direction last year, but he played too well in training camp to get released. Brian Waters – The veteran guard hasn’t publicly made a decision on his future, which could include retirement. Waters has not undergone biceps surgery and might not at all if he decides to retire. If he does choose to play, he will likely time it out right so he’ll miss camp but be ready for the season. The Cowboys have to move on mentally, but if he chooses to play, Waters could end up back in Dallas for the right price. Jarius Wynn – He could be back in 2014, but probably for nothing more than the veteran minimum. But he played well at times last season and since defensive end is a need, Wynn could be a solid option, considering his development last year and his current knowledge of the system. Add George Selvie to the list of 2013-2014 Dallas Cowboys players who underwent offseason surgery. Selvie, who popped up on the injury report toward the middle of the season with a shoulder issue, went ahead and got surgery on the shoulder after fighting through the injury to play in all 16 games last season. He also battled back problems late in the year. 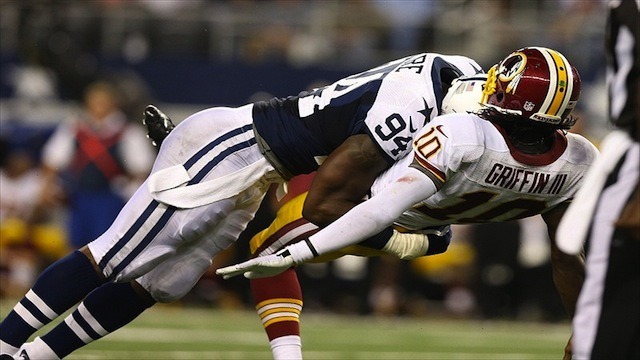 The defensive end still started every game for the injured Anthony Spencer and wound up with seven sacks, finishing second on the team in the category, after arriving with the team in training camp. Selvie’s previous high in sacks was 1.5 his rookie year in 2010. This was by far the most productive season of his stint in the NFL. He also forced the first fumble of his career. He’s among a handful of Dallas Cowboys to undergo offseason surgeries in an attempt to be ready as quickly as possible when the team reconvenes for offseason workouts. In addition to Selvie, Dwayne Harris, and Caesar Rayford both also repaired their shoulders in the offseason, while tackle Doug Free cleaned up his ankle. Other players are expected to get minor surgeries before the start of next season, including DeMarcus Ware. He hasn’t undergone a scope on his elbow, as he indicated was a likelihood after the season, but that plan could still change. In the aftermath of the Dallas Cowboys 24-22 season-ending loss to the Eagles Sunday night, defensive end DeMarcus Ware said he would consider taking a pay cut to help the team manage the salary cap. (Editors comment: No, he didn’t say that. The media twisted his words. DeMarcus Ware expressed his willingness to help restructure his contract to help the Dallas Cowboys salary cap). Ware clarified those comment Monday. So you didn’t say pay cut? Ware is scheduled to make a base salary of $12.2 million next season including a $500,000 workout bonus. Ware’s 2014 cap figure is $16 million. The looming question is how much Ware is worth at this point. He had just six sacks in 2013, his fewest since his rookie year 2005. Ware also battled elbow, quad and back injuries this year. He plans to have surgery to clean up issues with his elbow in the off season. But he will be 32 next season and there is also a question of whether he has lost a step. 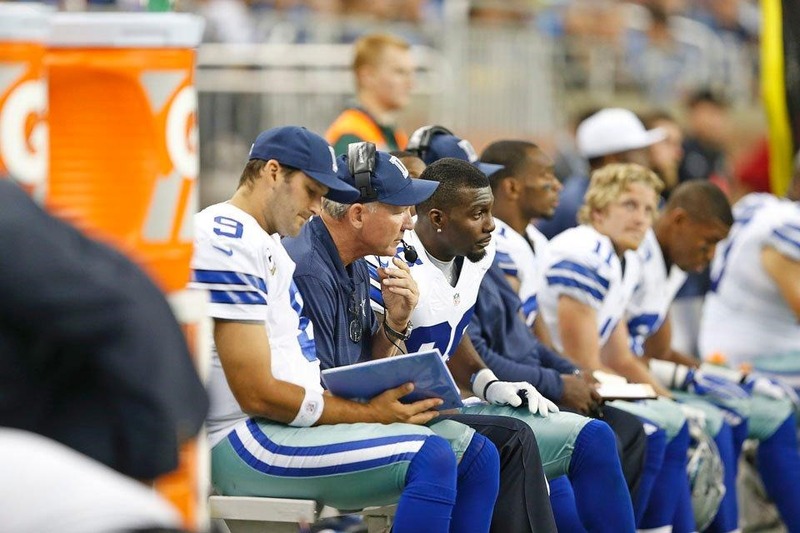 IRVING, Texas – A third straight 8-8 season hasn’t lost the core veterans’ faith in Jason Garrett. Tight end Jason Witten and defensive end DeMarcus Ware stood staunchly behind their head coach despite a third consecutive disappointing Week 17 outcome. It appears their owner/general manager feels the same way, as Jerry Jones has stated his belief in Garrett and how he’s decided to move forward with Garrett regardless of the bitter ending. Jones said records don’t always indicate the talent of a coach. He also pointed to the fact that the Dallas Cowboys have been in position to win the division three straight years, rather than the fact that they failed to cash in on that opportunity every time. If frustration would build on any group of players, it’s the veterans who’ve been through the consistent disappointments for years upon years. That group would include Witten, but he’s also behind his head coach entirely. He said it’s reassuring to hear Jones’ faith in Garrett and the likelihood of the head coach sticking around. Meanwhile, six other coaches were immediately canned after a failed season, including Mike Shanahan with the NFC East rival Redskins. Witten said he understands it’s a bottom-line business, and the bottom line is the Cowboys haven’t made the playoffs with three straight opportunities in Week 17 win-or-go-home games. But he’s glad to hear from Jones that Garrett will likely have another chance to change that fate. “That was great for me to hear and I think for our team to hear, because he’s very well respected in this locker room and guys are all in for him as the head coach,” Witten said. From 5-3 to 8-8 to 8-8 to 8-8, it’s difficult to point to or to justify significant progress made during Garrett’s tenure as a head coach when looking at wins and losses. But while the record wouldn’t show it, Witten said there has been progress in some areas. Ultimately, though, he knows the Dallas Cowboys need to find ways to not just say things need to change. He said the Cowboys have to find ways to do it and come out the other end. Rather than focus on yet another late season defeat, Cowboys players said Garrett’s final message centered more on how proud he was of the group and to be a part of their journey. But the tone from his head coach and his owner both weren’t cheery. In total, the 2013 Dallas Cowboys finished 2-5 in games decided by three points or fewer and 1-4 in games decided by two points or fewer. The Dallas Cowboys are 2-0 without Sean Lee in the middle of the defense, but it’s not like his influence has not been felt. DeMarcus Ware said Lee remains a big presence everywhere except the field, continuing to work with his replacement, Ernie Sims, like a coach. 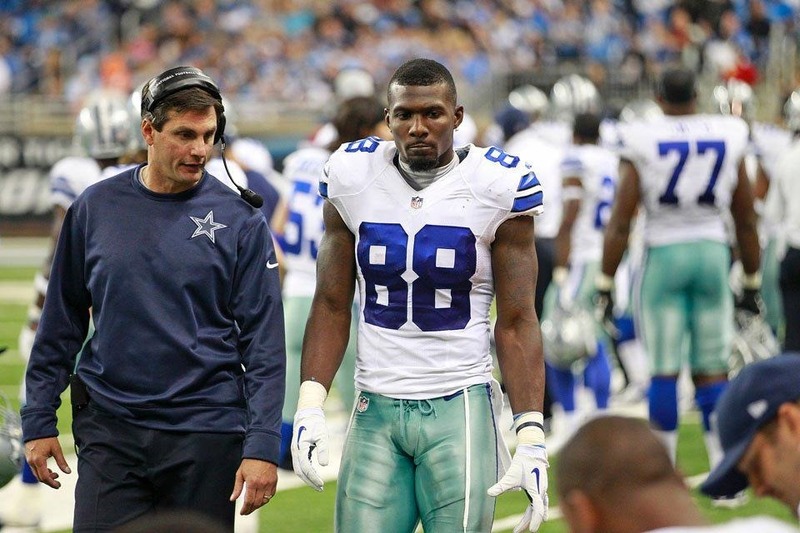 Dallas Cowboys owner Jerry Jones said Lee has been missed, but there have been benefits. Lee said the defense has played “fantastic” without him. Sean Lee said he is on track to play in the next game, Dec. 9 at Chicago. When Monte Kiffin and Rod Marinelli were brought on board after the conclusion of the 2012 season, their vision of what this defensive line was going to consist of was a four man line of DeMarcus Ware, Jay Ratliff, Anthony Spencer, and Jason Hatcher. As they sit today, only Ware and Hatcher are currently in the mix. The offseason ranking of these four players were: Ware, Spencer, Ratliff, and Hatcher. To his credit, Hatcher has gone far and above what most believed that he could have done. We really wasn’t sure where he was going to play in this scheme, whether that was the one or three technique. Likely, the front office and coaches were having the same thoughts. Few believed he was going to be able to play with enough power at the one. To his credit, he has proven people wrong. That’s not to say that’s his best spot, because at the three he has also done things thought that he couldn’t have done. It was very evident without him in the lineup against the Saints. His ability to help in the run but maybe more importantly, was how well he rushes the passer inside was missing. What Jason Hatcher has done through his play is make this front office sit up and take notice when it comes to making a decision on his future with this team. Right or wrong, on the radio show “Talkin’ Cowboys”, DeMarcus Ware was challenged to once again rise up and be the player that we all have seen in seasons gone by. This young defense needs that kind of player. When Ware was lining up in those practices in Oxnard, it appeared that Ware had turned the clock back five years and this season could turn out to be one of his best ever. Injury has once again robbed him of that opportunity. Ware showed a great deal of guts playing last season at half the player he is capable of being and this year, could very well be the same. As hard as this to say for a player that has given his team so much, he is going to have to dig deeper and find ways to not only be a factor in the running game but be that dominate player against the pass. This scheme requires pressure from its front four and without that pressure, it is difficult to have success in it. If this team in fact are going to make a run in these last six games and win this division, it is going to be on the shoulders of Sean Lee and DeMarcus Ware. For six games, this defense needs DeMarcus Ware’s very best otherwise we will all be talking about what could have been. There have been some difficult games for this defensive line this season. There have also been some times where they have played well and helped this team to a victory. The road doesn’t get much easier with three division games and the matchup with the Bears and Packers remaining. What worries the most about this group is the ability to get off blocks in the running game especially the last three weeks against the Lions, Vikings and Saints. There have been too many games this season where this defense has allowed offenses to be in manageable down and distance situations because of their inability to hold up against the run. For the next six week, this defensive line is going to be tested each and every snap to have to be physical in playing in the running game and with Sean Lee out at least the next two games, there is not that safety net of him being there to make plays. This line needs to do a much better job of playing on the other side of the ball like they did against the Redskins and Eagles, which then will help them with their pressure in the passing game. ARLINGTON – DeMarco Murray will be active today against the Vikings after missing each of the Dallas Cowboys’ previous two games with a sprained knee. DeMarcus Ware, on the other hand, highlights the inactives list, which also includes wide receiver Miles Austin, cornerback Morris Claiborne, safety J.J. Wilcox, linebacker DeVonte Holloman, tackle Darrion Weems and tight end Andre Smith. Wilcox (knee), Holloman (neck) and Claiborne (hamstring) were all ruled out after Friday’s practice. Ware (thigh) and Austin (hamstring) were both listed as doubtful. Along with Murray, Ware’s also missed each of the last two weeks after getting injured against the Redskins, and he’ll now miss his third straight game. Austin has been given rest and sat out last week after trying to give his sore hamstring a try against the Eagles on Oct. 20. All the Cowboys players who were probable entering the weekend will be active, including Jason Hatcher (neck), George Selvie (shoulder) and Barry Church (hamstring). Guard Brian Waters was also ruled out after Friday’s practice with a triceps injury, which has since moved him to injured reserve. Defensive back Micah Pellerin took Waters’ spot on the 53-man roster and will be active. Jason Garrett talked to Dez Bryant after Sunday’s game, encouraging the receiver to put his passion and emotion to better use than with sideline outbursts. Since Bryant received national headlines for his behavior on the sideline Sunday, including criticism from analyst Brian Billick during the telecast, the Cowboys repeatedly have defended Bryant, insisting his emotional outbursts are not a distraction. TV cameras twice caught sideline rants by Bryant. In the third quarter, Bryant appeared to be expressing his displeasure at not getting the ball more. 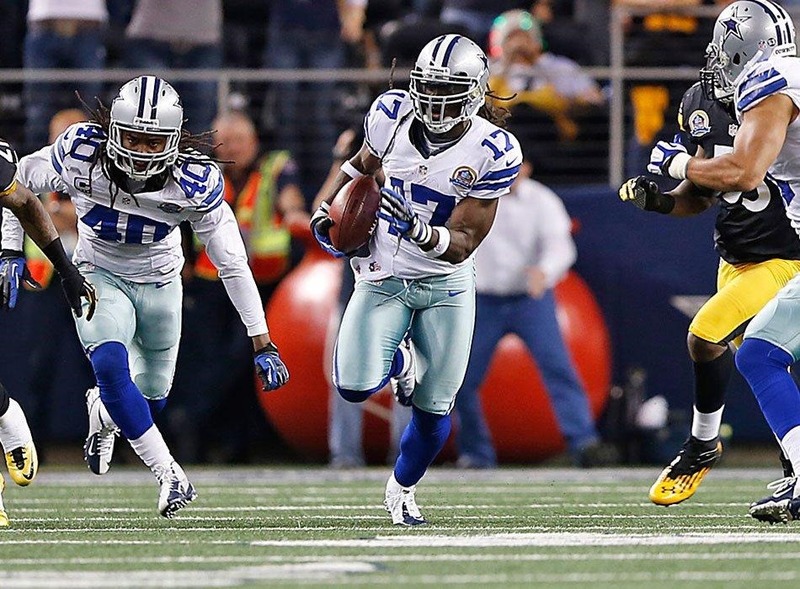 Tony Romo targeted Bryant six times in the game, with Bryant catching three passes for 72 yards and two touchdowns. After the Lions scored with 12 seconds left, Bryant had a heated exchange with teammates Jason Witten and DeMarcus Ware, who said they were trying to calm down Bryant and get him focused for the final play. “I know everybody wants to read into Dez’s emotion on the sidelines, but contrary to popular belief, he’s not as negative as you would think over there,” Cowboys executive vice president Stephen Jones said on his radio show on KRLD-FM 105.3. “He’s not every time that happens, saying, ‘Give me the ball! Give me the ball! Give me the ball!’ He’s encouraging in his way. Obviously, everyone has their opinion, and they’ll have that. But Dez will be fine. Editors note: Bill Billick was selected in the 11th round of the 1977 NFL Draft by the San Francisco 49ers but was cut by the 49ers and the Dallas Cowboys, and never played in the NFL. Billick coached for the Minnesota Vikings from 1992-1998, and was the head coach of the Baltimore Ravens from 1999-2007. Dez Bryant wants to make it perfectly clear: He is a team player who wants nothing except to win. Bryant talked for some 15 minutes Monday, explaining his sideline behavior that drew national attention during the Dallas Cowboys’ 31-30 loss tot he Lions. He said he is misunderstood outside the locker room. 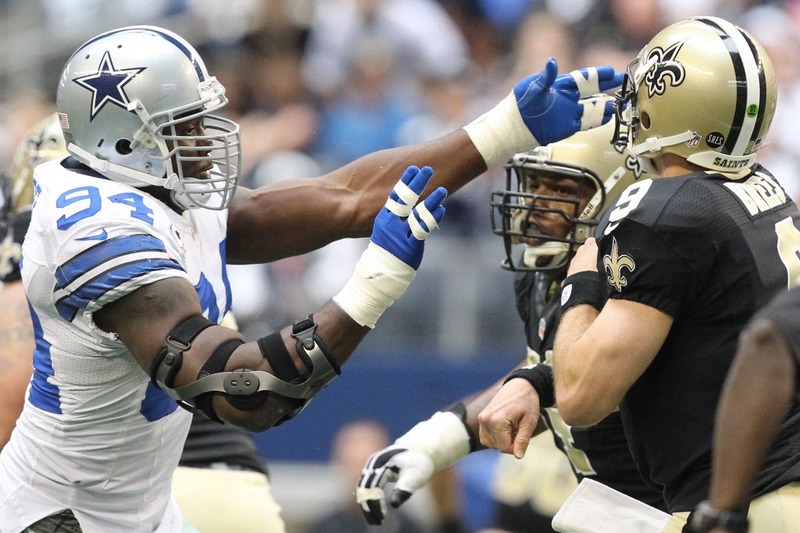 The Cowboys have defended Bryant, whom TV cameras caught ranting on the sideline twice. The first came in the third quarter after a Tony Romo incompletion on a pass intended for Dwayne Harris on third down, leading to a field goal and a 13-7 lead. Bryant yelled at Romo, receivers coach Derek Dooley and head coach Jason Garrett, none of whom seemed to pay him much attention. 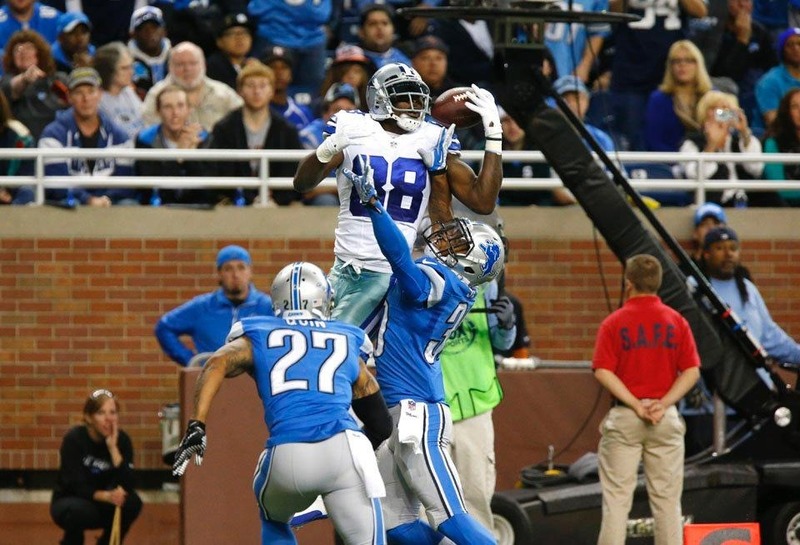 Bryant said he was not demanding the ball, though he had only two catches for 22 yards to that point. After the Lions scored to take the lead with 12 seconds remaining, Bryant and tight end Jason Witten were seen yelling at each other with defensive end DeMarcus Ware stepping in calm Bryant. Witten and Bryant both said the tight end was trying to get Bryant to focus on the task at hand, which was a final offensive play. Bryant said his relationship with Romo and Witten remains solid. Jason Garrett talked to his fourth-year receiver about Bryant better channeling his emotions. Bryant said he has no regrets and will continue to wear his emotions on his jersey. Dez Bryant is not going to apologize for his antics on the sidelines. He’s a passionate and emotional player who is driven to win. Something, he said, that has been going on since he first stepped on a football field. So, yes, he’s going to get into animated and sometimes heated conversations. He had a couple with quarterback Tony Romo and tight end Jason Witten in the second half of the Cowboys’ 31-30 loss to the Lions on Sunday afternoon at Ford Field. And there will be more throughout his career. Nobody in the Cowboys’ locker room has any issues with Bryant wearing his heart on his sleeve. Jerry Jones, Jason Garrett and his teammates all approved of it in a positive light, saying passion is necessary to succeed in the NFL. 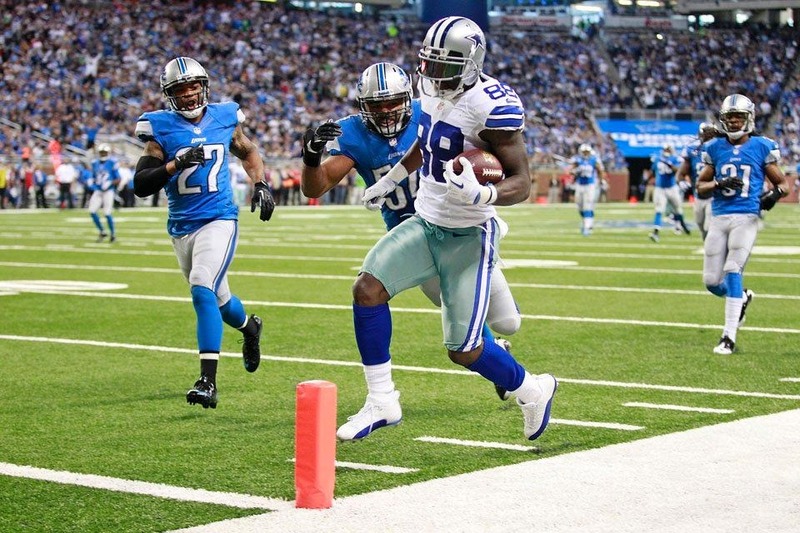 Want to find out what Dez Bryant says during his sideline appeals vs. the Detroit Lions? Watch and listen as he interacts with quarterback Tony Romo, players, and Dallas Cowboys coaches. Dez Bryant spoke to the media on Monday for an extended period of time to try to clear up what happened on the sideline on Sunday. IRVING, Texas – Forget three or four weeks. 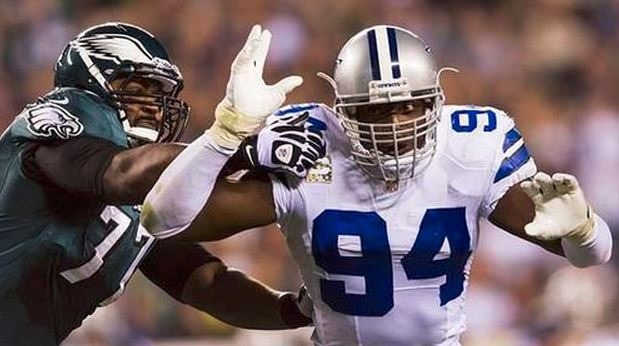 DeMarcus Ware might still be playing this weekend against the Philadelphia Eagles. The Dallas Cowboys’ all-time sack leader doesn’t know his status yet, but he’ll travel with the team on the flight to Philadelphia, and he thinks he’ll be a game-day decision. He said he doesn’t need to practice this week to remain a possibility to play. Ware has never missed a game in his career, despite suffering hamstring, shoulder and elbow injuries last year and dealing with stinger problems this season. The latest thigh injury had many thinking he’d be out multiple weeks, but he said he’s already started running and will continue to work off to the side at practice before the ultimate decision is made. He admitted the leg is still sore, but he’s continuing to get treatment and believes he’ll be in proper shape if he’s able to go this weekend. Ware said he can’t worry too much about his remarkable games played streak, which sits at 134. In addition to running, Ware said he can also plant and cut. It wouldn’t really be a surprise to see him return to action and play, despite the initial prognosis. Ware’s iron man streak of consecutive games played continued even after getting carted off the field with a neck injury in 2009 that left him temporarily motionless. He played six days later against the Saints after missing practice throughout that week. He said he needs to weigh the importance of being on the field this week against the potential for future harm. He said he needs to be able to run, pass-rush and change direction with ease, particularly considering the speed at which the Eagles play. If Ware can’t go, Kyle Wilber will get the call at defensive end. Wilber went in after Ware’s injury last week, recorded a strip sack on Robert Griffin III and secured the fumble. Wilber continues to talk to Ware as the second-year player prepares himself for a starting opportunity. Head coach Jason Garrett preaches the “next man up” philosophy, while Wilber hears from defensive coordinator Monte Kiffin that everyone in the defensive room should consider himself a starter. For Wilber, it’s now time to play like one. Wilber went from 240 pounds last year to 248 pounds this year, as he made the move from linebacker to defensive end. He said it’s difficult for him to put on weight, but eventually he’d like to be around the 255-pound mark. Strength and conditioning coach Mike Woicik is pushing him to help reach that total. It’s been tough for Wilber to serve as a backup since getting drafted in the fourth round in 2012. He’s accustomed to starting, and last year was particularly tough for him after getting injured because he felt like he didn’t help the team. He may now get his chance to stand out on a “no-name” defensive line. Well, almost a no-name defensive line. Wilber said Jason Hatcher has become more of a household name after his five-sack start to the season. Wilber, however, feels like a no-namer until he demonstrates what he can do consistently. Even after his performance last week against the Redskins, he knows teams aren’t going to strategize for him, but they will have to plan for his presence. He feels more ready than ever for a starting role if Ware can’t go, and a lot of that has to do with the star pass-rusher getting him ready. IRVING, Texas – Dallas Cowboys players and coaches had plenty of time to organize their thoughts of Pro Bowl defensive tackle Jay Ratliff in the hours between his release Wednesday and Thursday’s open locker room session. Aside from the medical and financial implications surrounding Ratliff’s release, members throughout the Cowboys organization were quick to point out the defensive tackle’s value and impact within the playing field. Ratliff appeared in 104 games and started 85 as a seventh round pick by the Cowboys in 2005. He notched 27 sacks and 317 total tackles in his eight seasons with the team. His efforts earned him four straight Pro Bowl trips from 2008-11 and established him as one of the league’s best 3-4 nose tackles in that time period. Of any teammate that saw that example, DeMarcus Ware stands out. Following Ratliff’s release, Ware is the final member of the Cowboys’ 2005 draft class on the roster – Ware was taken 11th overall, in the first round, while Ratliff’s seventh round selection came all the way at No. 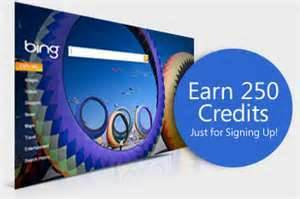 224. Ware said it’s odd looking around the locker room and seeing only long snapper L.P. Ladouceur remaining from the team’s 2005 rookie class. Having spent nine seasons on the defensive line with him, Ware is well qualified to talk about Ratliff, but several other Cowboys veterans had thoughts to offer. As of Thursday afternoon, Ratliff’s locker had yet to be cleaned out. Jason Witten, whose locker sits our feet away, said he’ll remember the high level of play evidenced by the Pro Bowl sticker’s adorning Ratliff’s area. “He’s a guy I’ve known for a long time. We played together a long time – a core group of us, and he’s a guy you wanted on your side on Sundays, that’s for sure,” Witten said. In Ratliff’s official statement, delivered by his agent Mark Slough on Wednesday, he was sure to thank Cowboys owner/general manager Jerry Jones for taking the chance of drafting him. In addressing the decision to release him Thursday, Jones repaid those thanks to the veteran. IRVING, Texas – One day after their decision to release Jay Ratliff, the Cowboys spoke about the implications and issues surrounding the move. Cowboys owner/general manager Jerry Jones, as well as coach Jason Garrett spoke to the media about the past year of uncertainty around Ratliff. Jones said the decision to release the veteran involved a number of variables – most notably, consideration of the salary cap and the team’s prospects this season. The decision to cut Ratliff will save the team the cost of paying him had he been moved to the injured reserve. That raises the question of why the Cowboys placed him on the Physically Unable to Perform List to start the season. But Garrett said he still had hope of using Ratliff after he strained his hamstring during his pre-training camp conditioning test. The matter of Ratliff’s debilitating injury, not the hamstring strain but the one suffered against Cleveland in 2012, remains confusing. Mark Slough, Ratliff’s agent, said Wednesday that his client’s lower body injury had been mischaracterized as a sports hernia, when it in fact involved severe ligament and muscle damage. Neither Jones nor Garrett would speak in specifics, as a matter of legal obligations. But both supported the reliability of the team’s medical staff in its evaluations. That extends to the conditioning test, which both Garrett and Jones said is only ever performed at the discretion of the player involved. Again, though, few specifics were provided. “I couldn’t address that. I know it’s up to the player to decide if he wants to test to see if he’s physically able to play. That’s up to the player,” Jones said (Watch Video | Play Audio). ARLINGTON, Texas – Whatever might have been spoken behind closed doors, there was nothing but love in the Dallas Cowboys’ open locker room Sunday afternoon. Reports surfaced during the weekend of an altercation between Jason Hatcher and Tony Romo, in which the veteran defensive tackle took the $100 million quarterback to task. To hear it from Hatcher, it’s really quite the opposite. Hatcher’s own words are the most telling, as it was he who had reportedly called out the Cowboys’ quarterback this week for audibling too much and not committing to the run. Plenty of other voices within the organization begged to differ, however. Cowboys coach Jason Garrett said Hatcher certainly spoke during the Cowboys’ preparation for St. Louis, but it wasn’t merely directed at Romo so much as the whole team. That message was one of consistency, to hear it from the players. The Cowboys have had a recent inability to string together positive results, highlighted by last week’s ugly loss to Kansas City – something Hatcher said needs to change. Romo himself agreed with that assessment. Asked about it following his postgame press conference, the Cowboys’ quarterback said he hadn’t heard about the report. He did say Hatcher’s words were good for the team and the team’s younger players to hear. It remains to be seen how the message resonates going forward. This is the eighth time in 11 years the Cowboys have managed a 2-1 record through three weeks. They failed to improve to 3-1, instead falling to 2-2, on six of those seven previous occasions. Next week’s game against San Diego will be telling in that regard. Editors comment: A lot is said about the ‘start’ of the season with the Dallas Cowboys in the past decade. Some of that ebb and flow is the result of NFL scheduling, some of that is NFL parity … and yes, some of that is finishing 8-8 in consecutive years. I think the emphasis should be on how they finish, not necessarily as much about how they start. It’s an interesting thing to watch, based on this recent history of on-again and off-again peaks and valleys. At this point, we should all hope to see a team mentally balanced … and confident enough to put together some nice long winning streaks. Jimmy Johnson was a master at keeping the players psych up, even during tough stings of games. It’s Jason Garrett’s job to build on the confidence gained during these big wins, not to let it slip away with the next opponent. It’s the players responsibility as well. Kudos to Jason Hatcher and the other leaders on this roster. The St. Louis (and New York Giants) games show the potential of this years’ Dallas Cowboys. If this is the ‘slow start’ … I can’t wait to see how they develop as the year progresses.